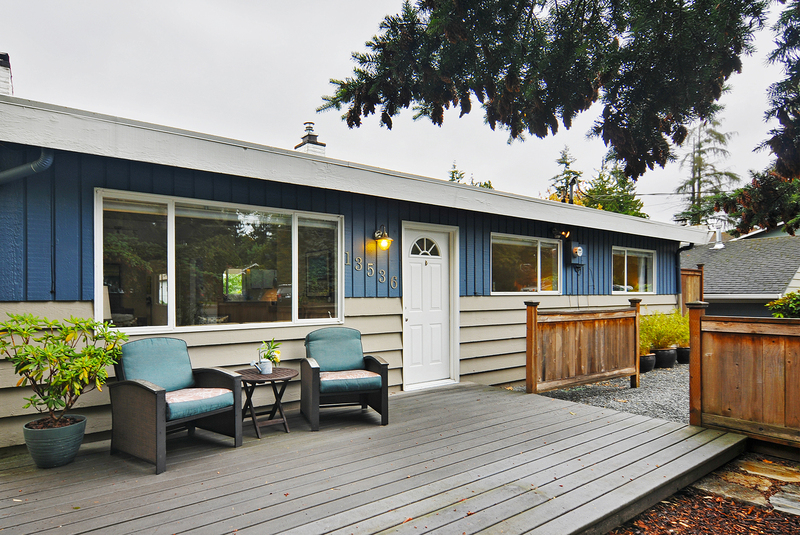 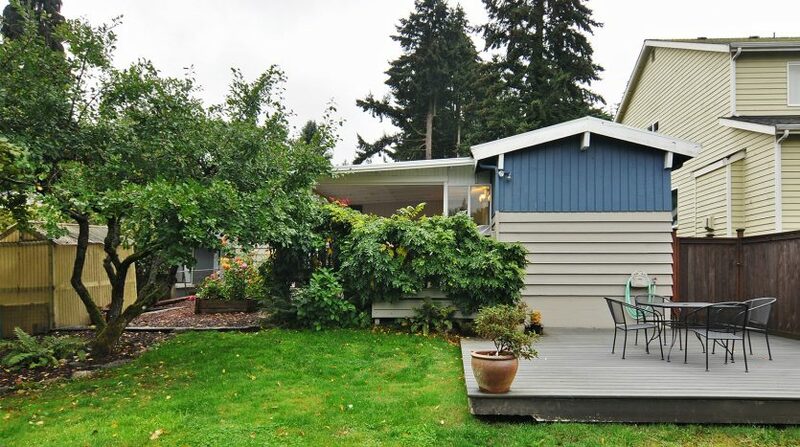 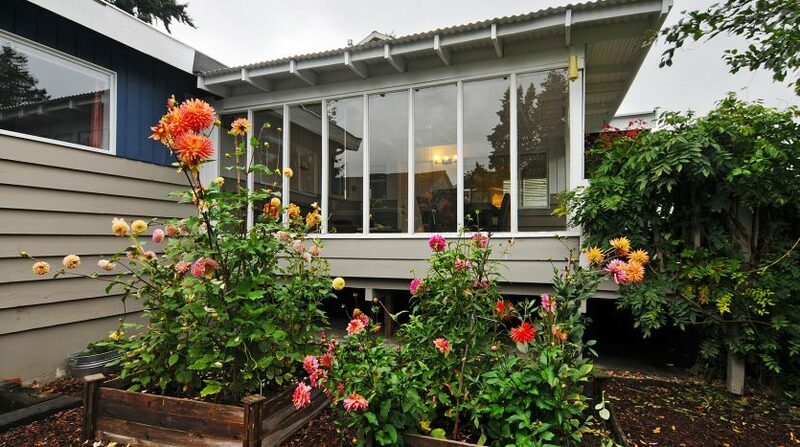 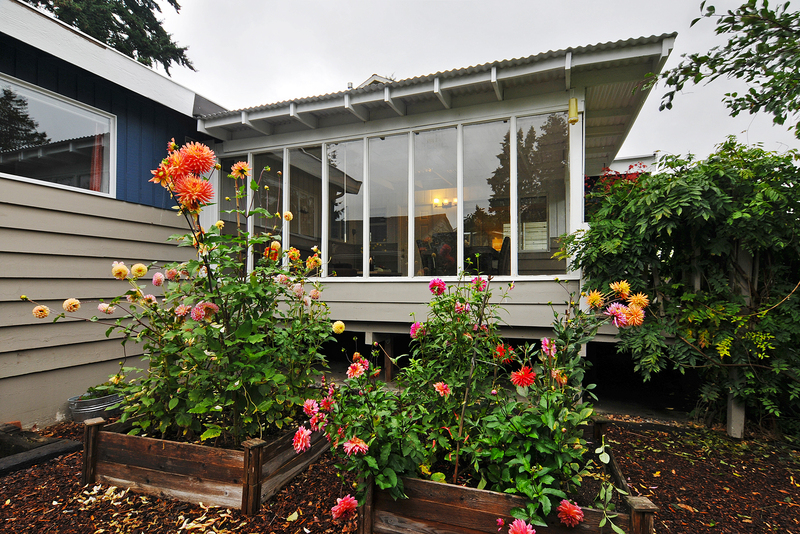 This charming rambler puts all your living space on one convenient level. 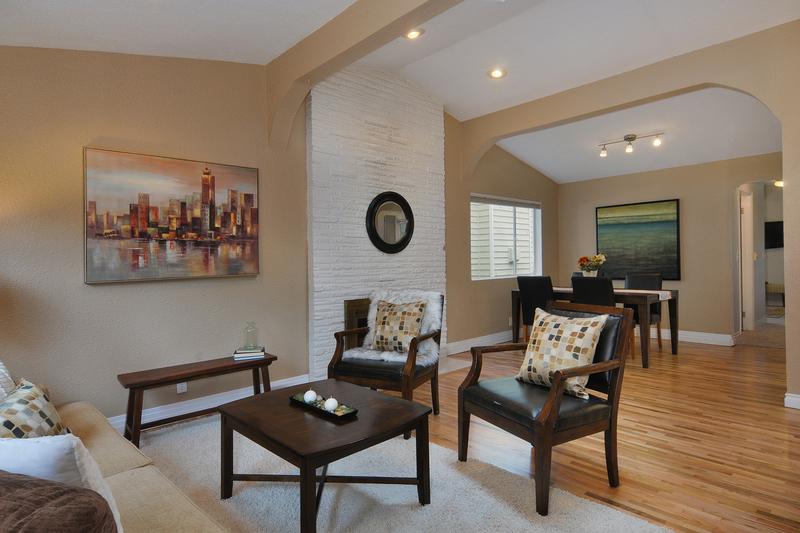 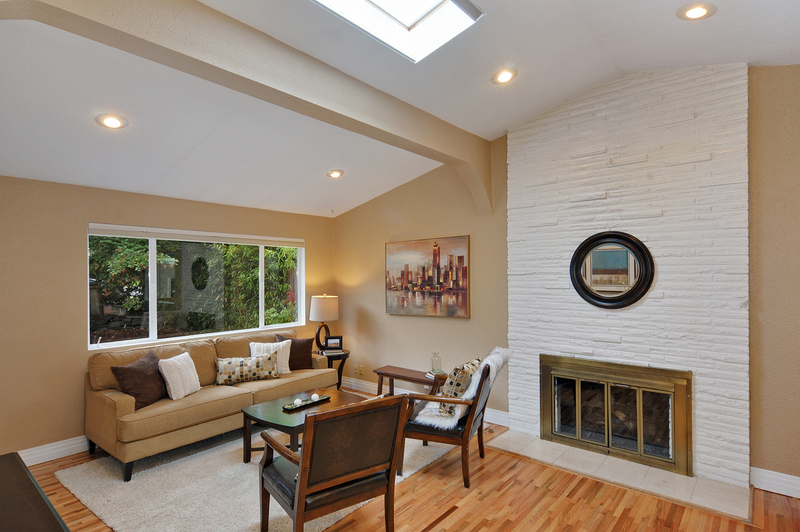 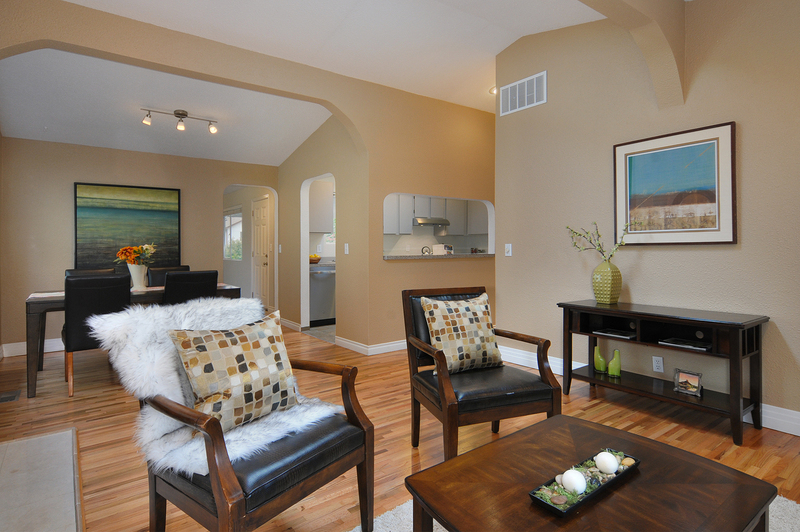 Upon entering this home, you will be struck by the voluminous space created by vaulted ceilings and bright skylights. 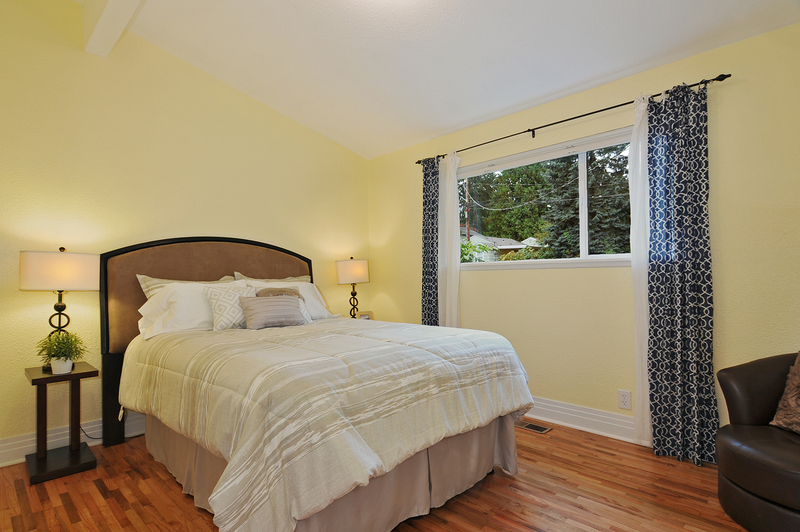 Beautifully refinished gleaming hardwood floors flow through most of the home. 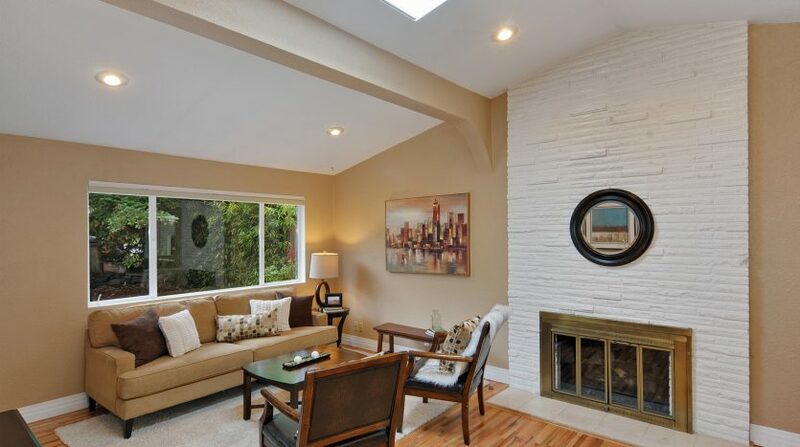 The light filled living area boasts a cozy gas fireplace, plenty of room for a dining table for dinner parties and is open to the kitchen space, perfect for entertaining. 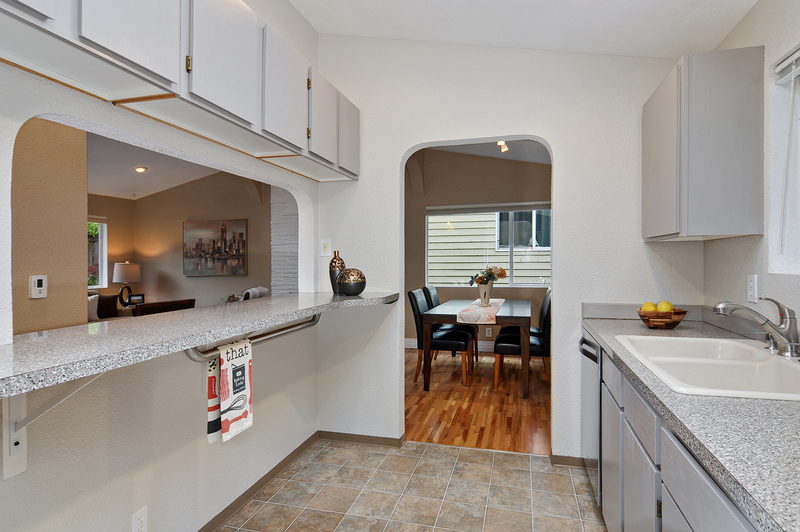 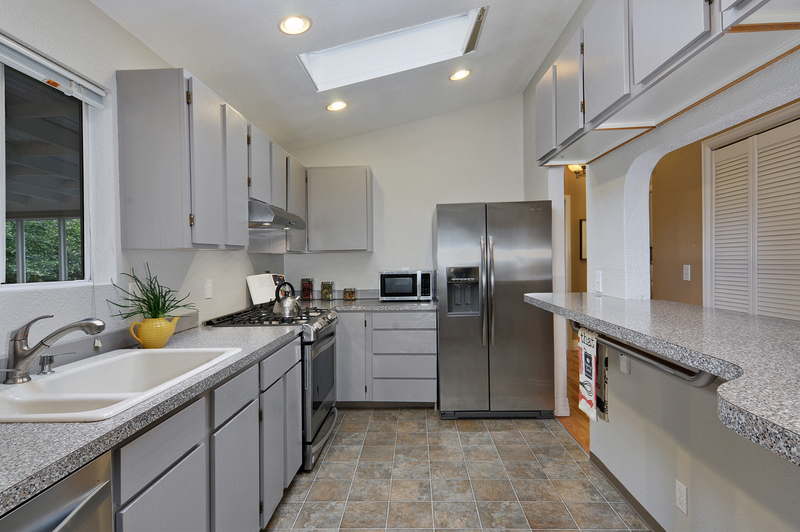 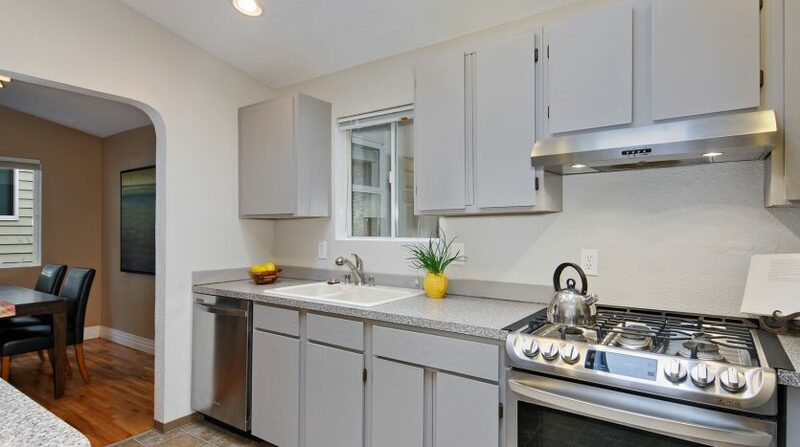 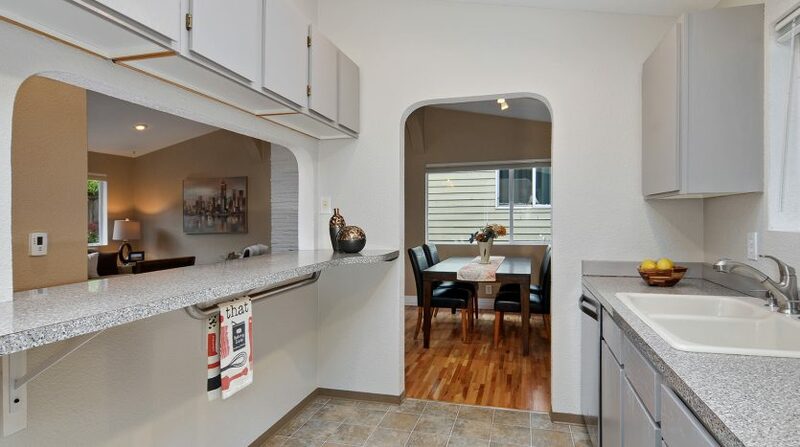 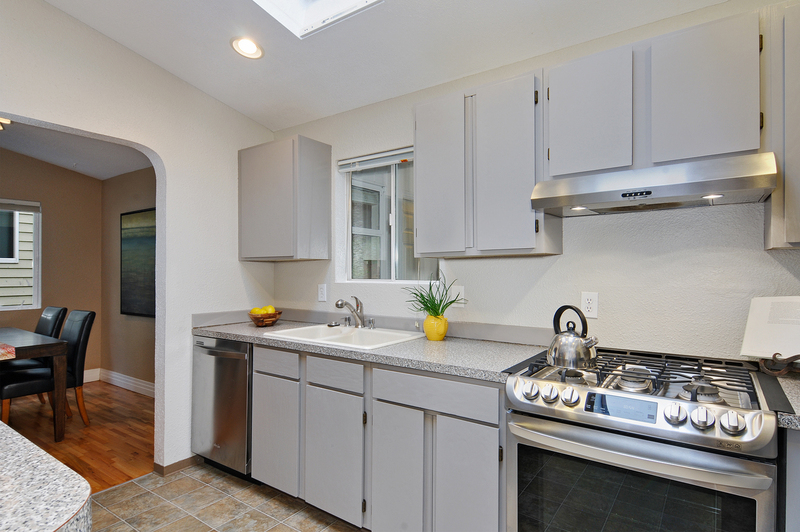 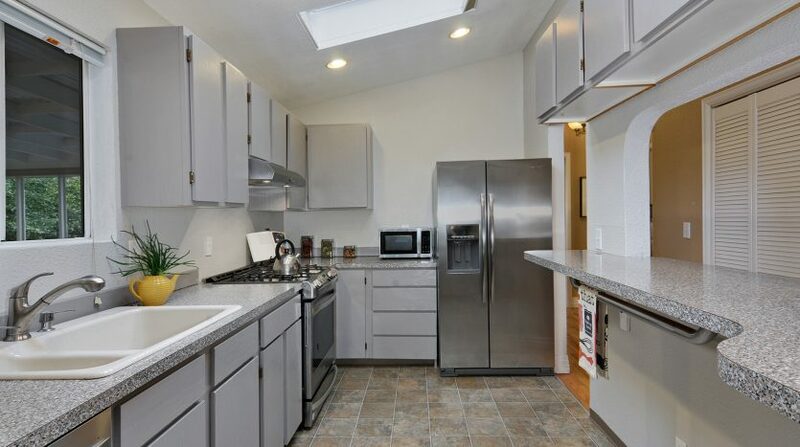 The kitchen has been refreshed with stainless appliances and trendy grey painted cabinetry. 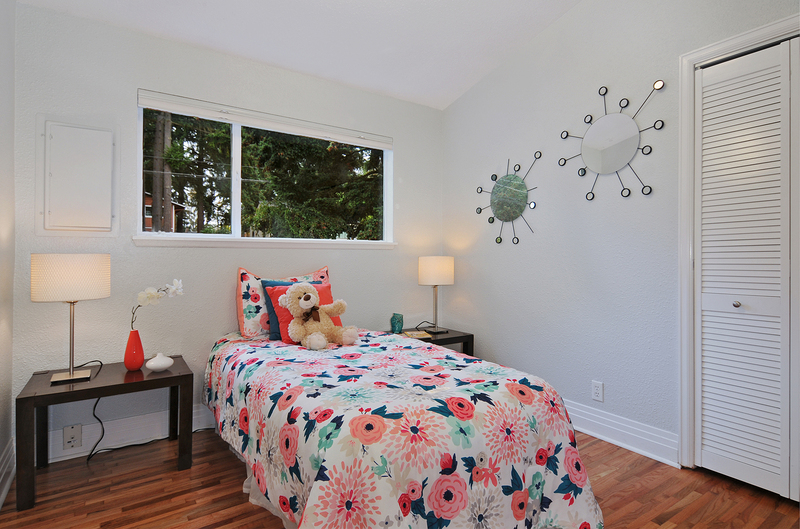 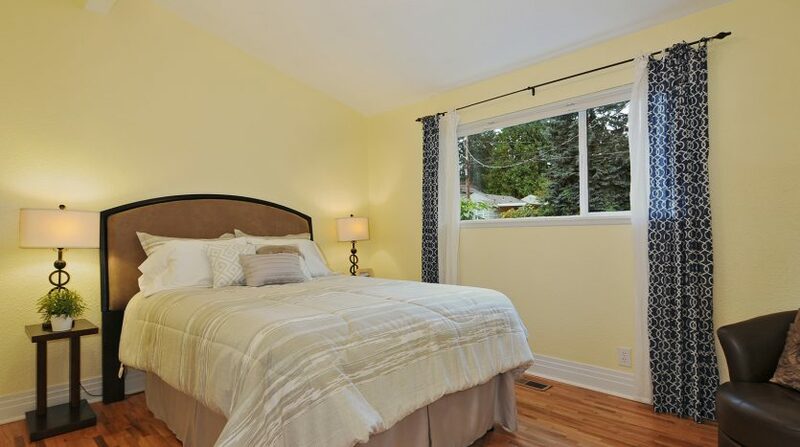 The bedrooms off the hallway are all a great size and have hardwood flooring. 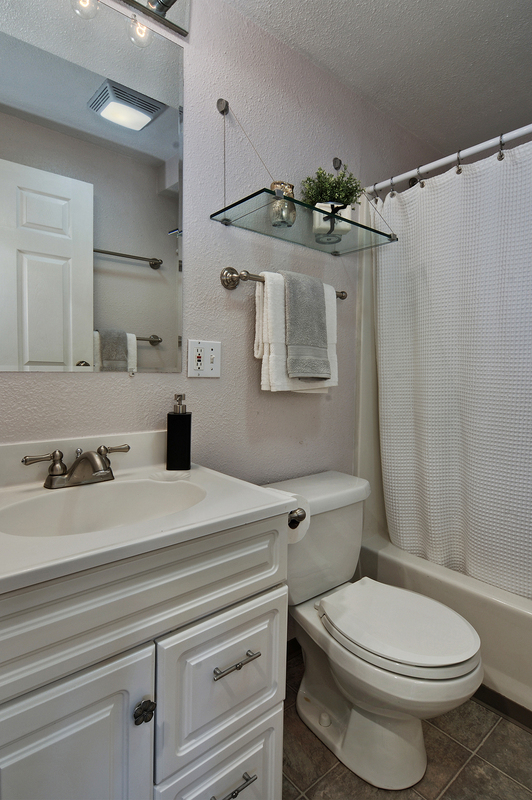 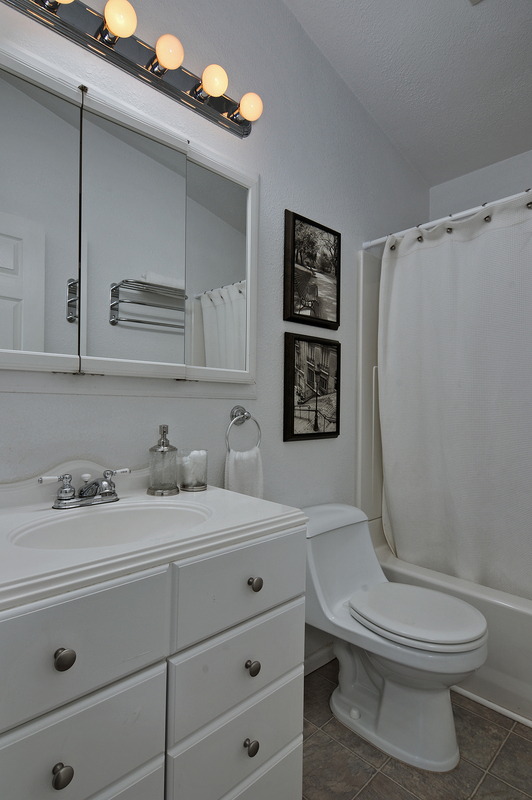 The full hall bath is bright and sweet. 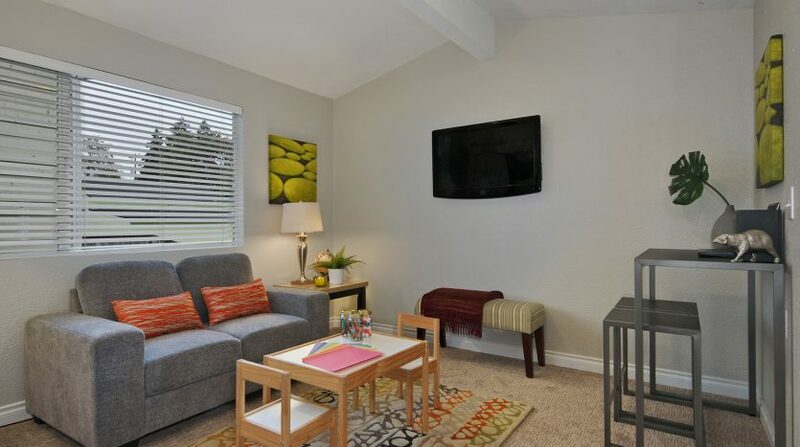 Off the spacious living area, is a flex room with new carpeting and fresh paint that could be used as a family or media room, office or den space, a 4th bedroom or even make this your master suite since there is a full bathroom off this room. 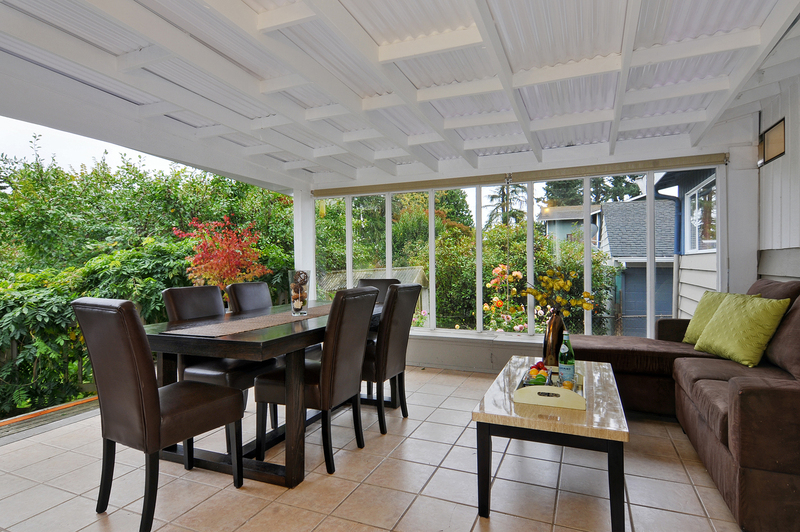 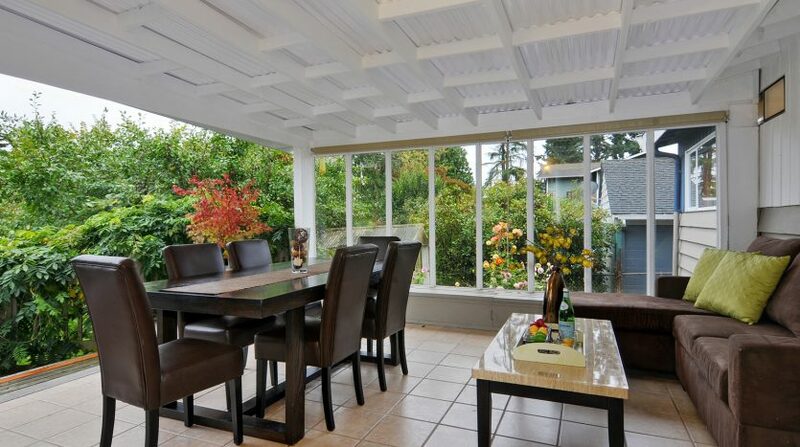 A fun unique sun room space is found off the flex room and kitchen, and is a great indoor-outdoor room for use year-round. 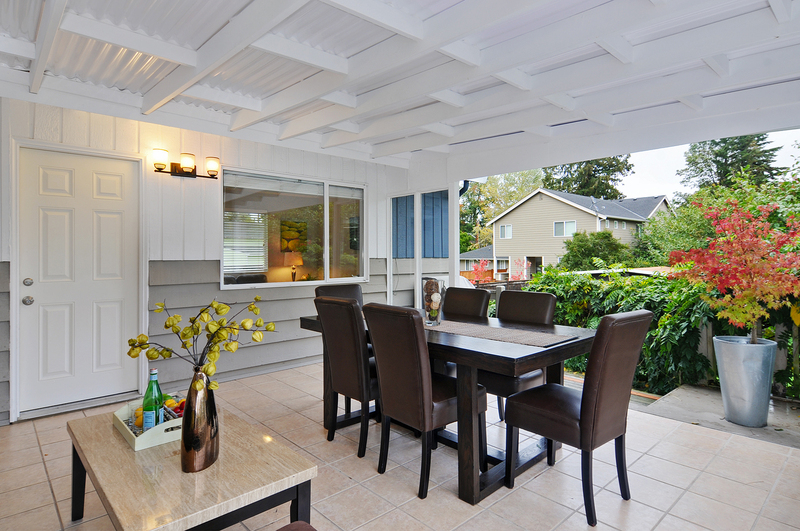 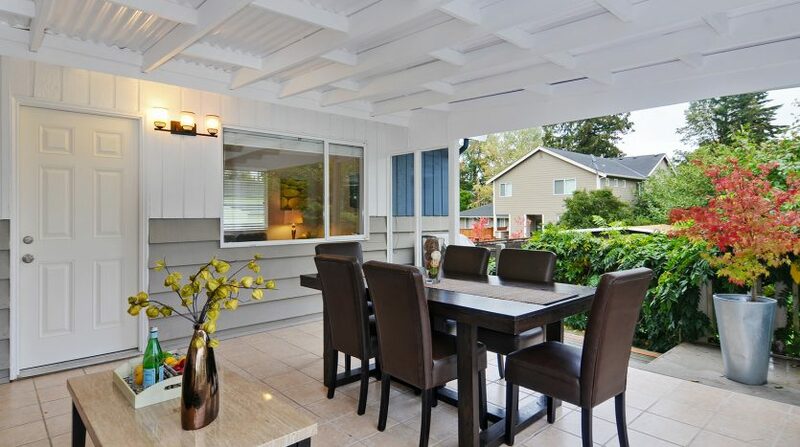 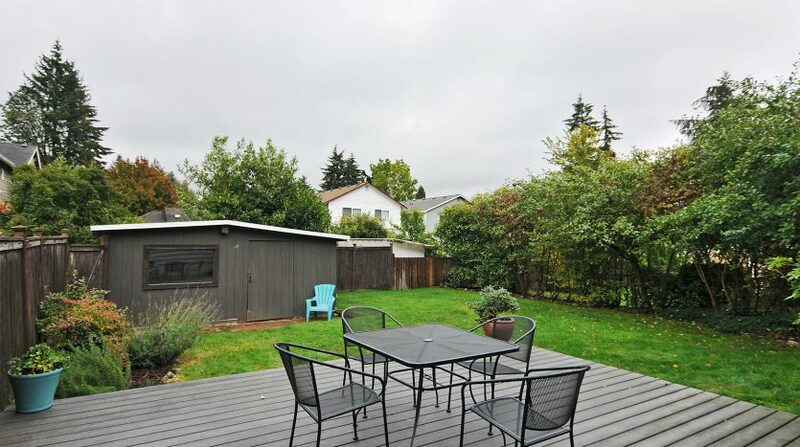 It opens to the low maintenance Trex patio for your summer BBQs and gatherings. 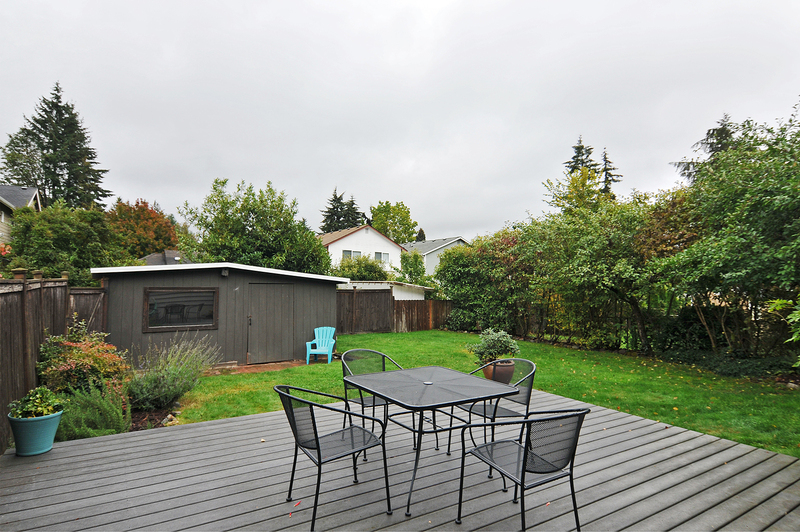 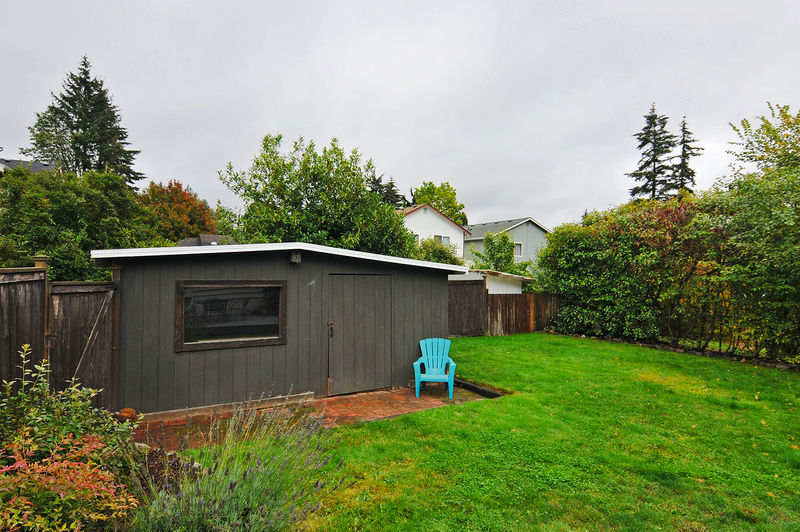 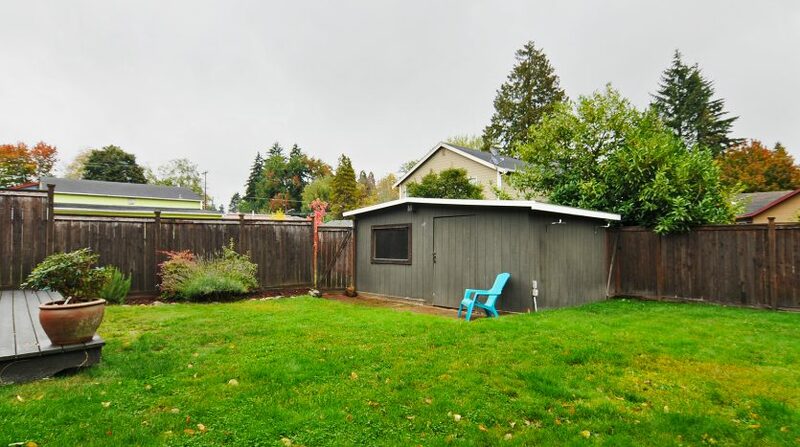 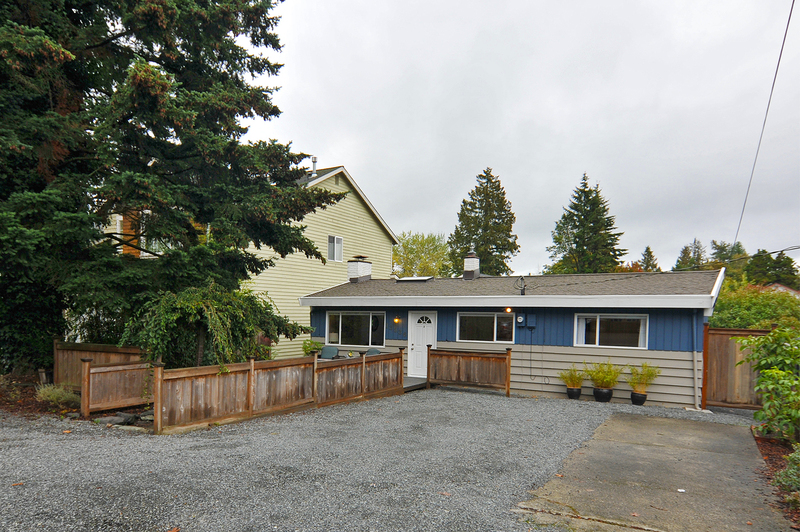 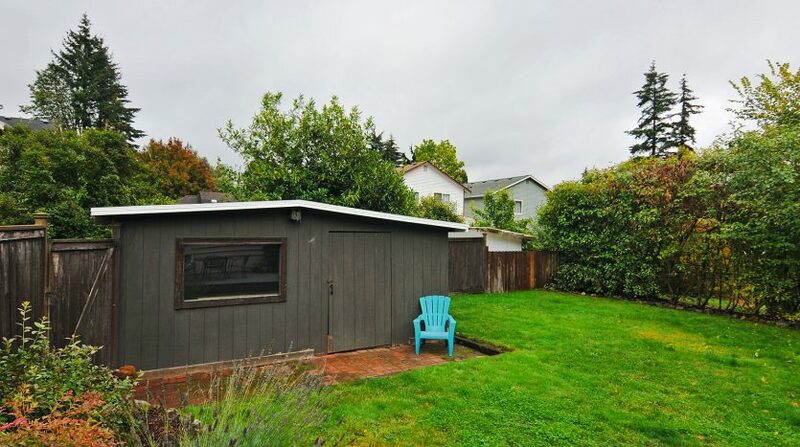 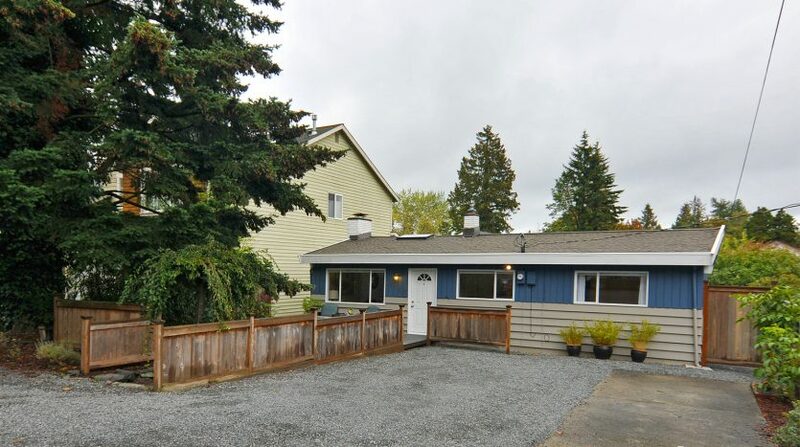 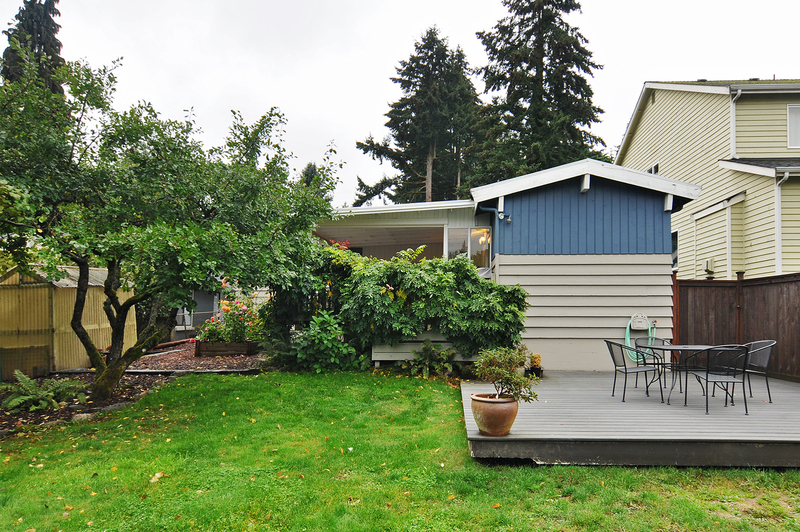 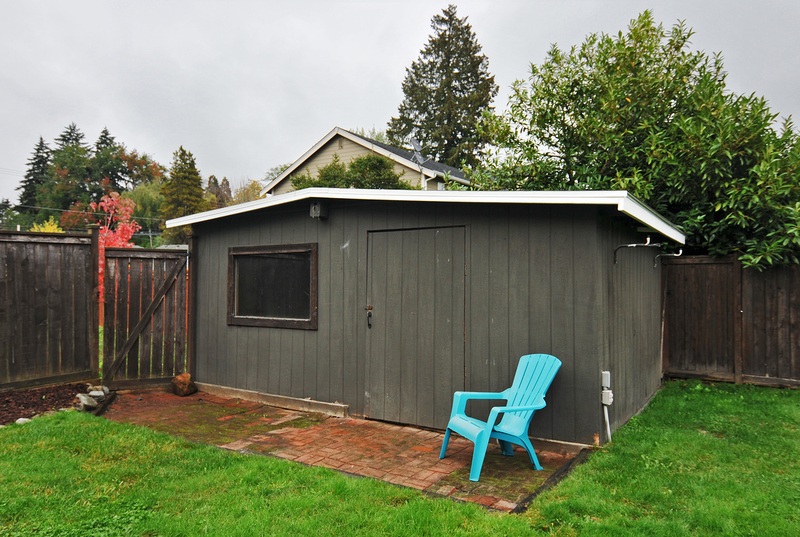 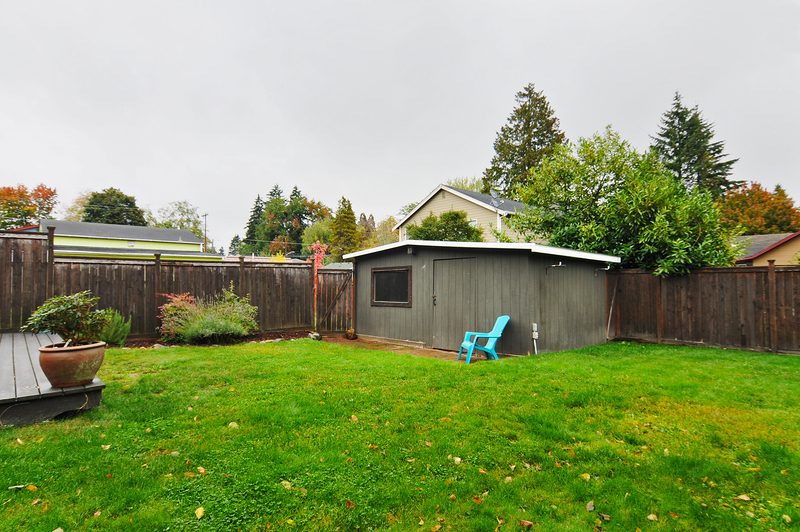 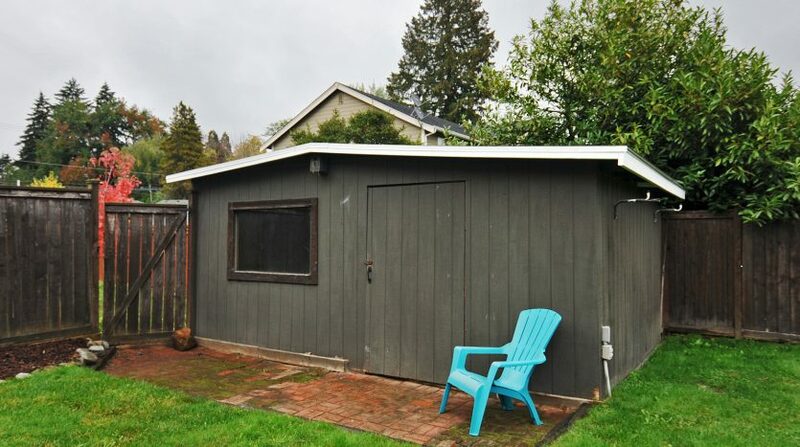 The large fully fenced flat yard features a grassy area, raised garden beds and a large shed, with a new roof, for storage. 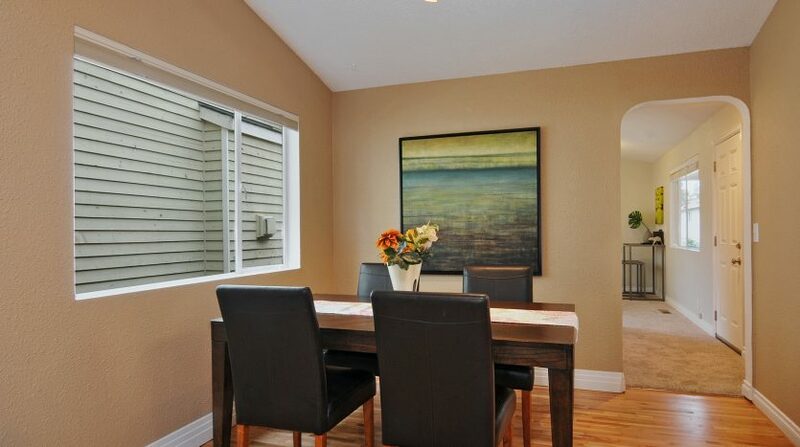 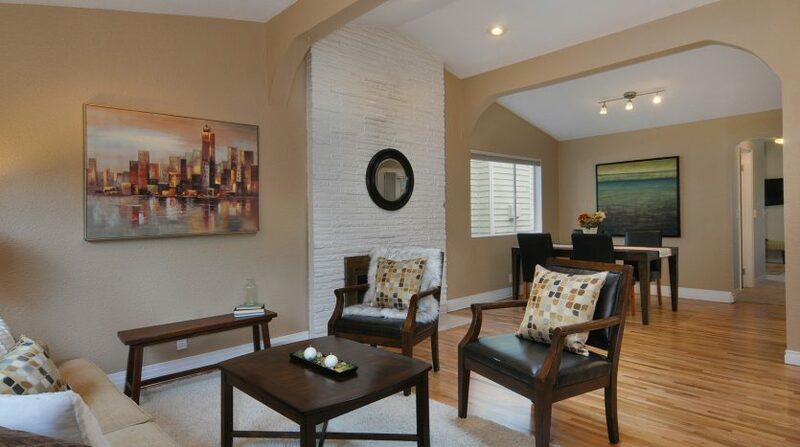 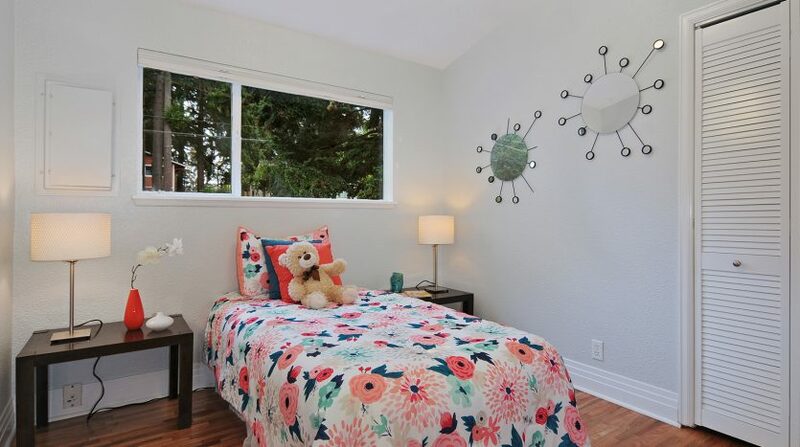 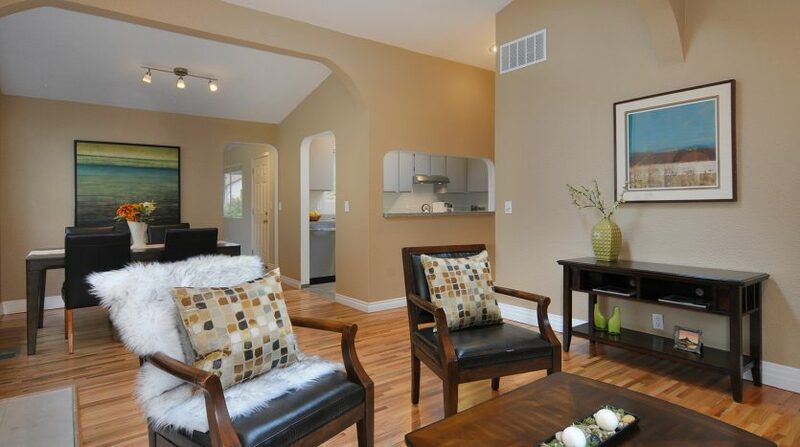 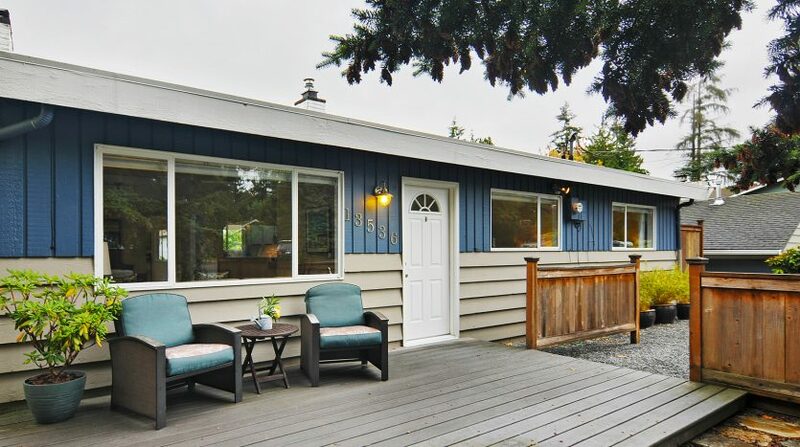 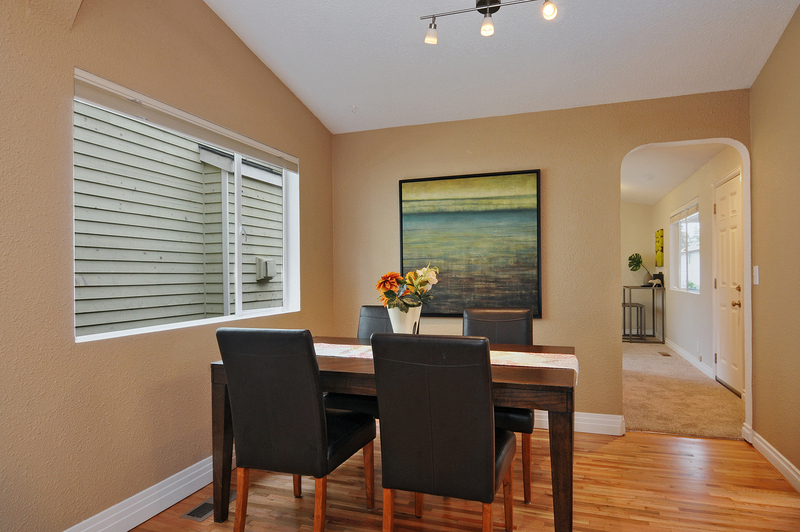 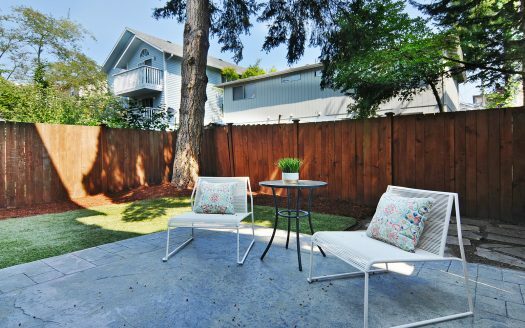 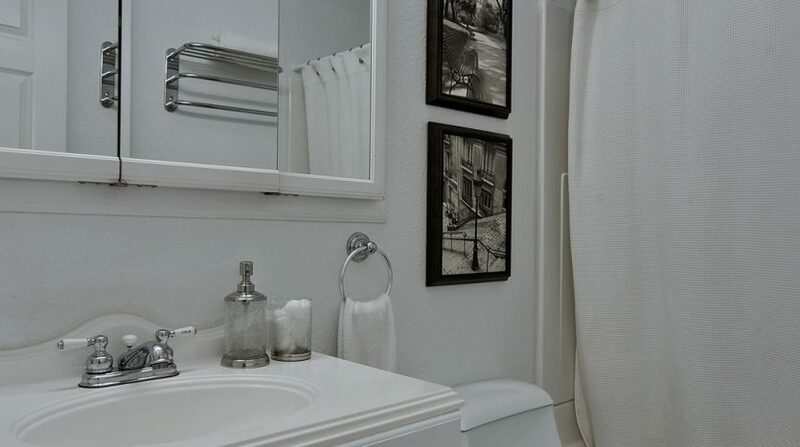 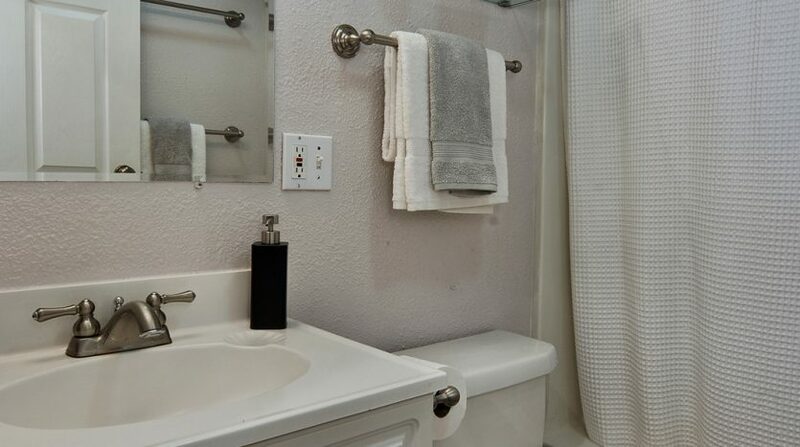 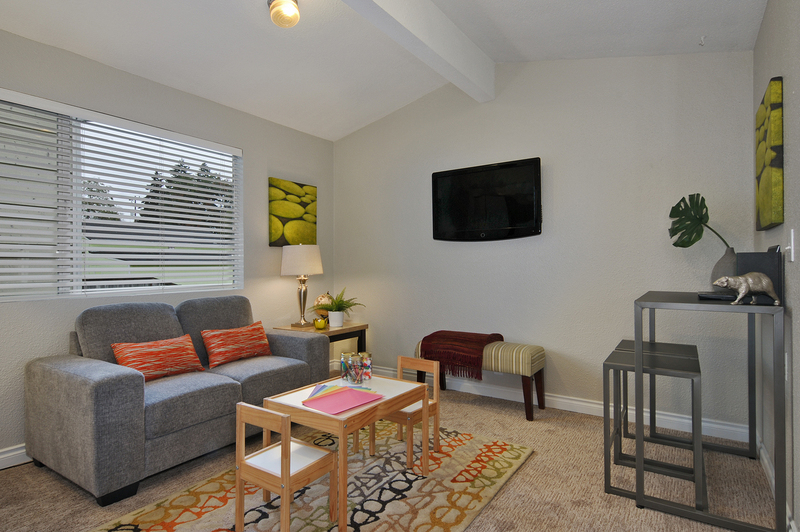 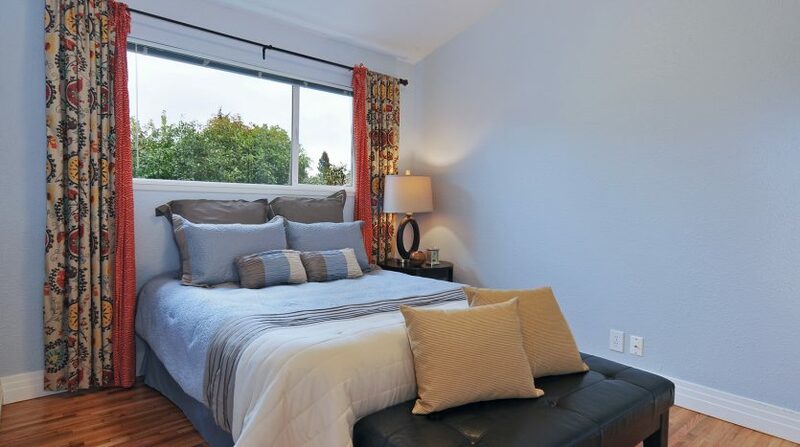 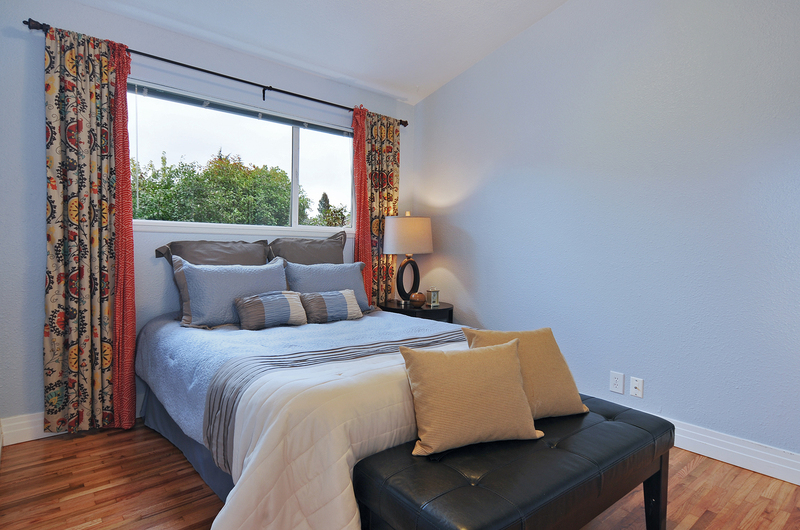 The convenient location close to both the I-5 and Highway 99 transit corridors completes this perfect package.